While evaluations of specific grants, or even clusters of grants, are currently widely utilized in assessing grantee performance, this report examines what information might be useful in assessing overall foundation performance. 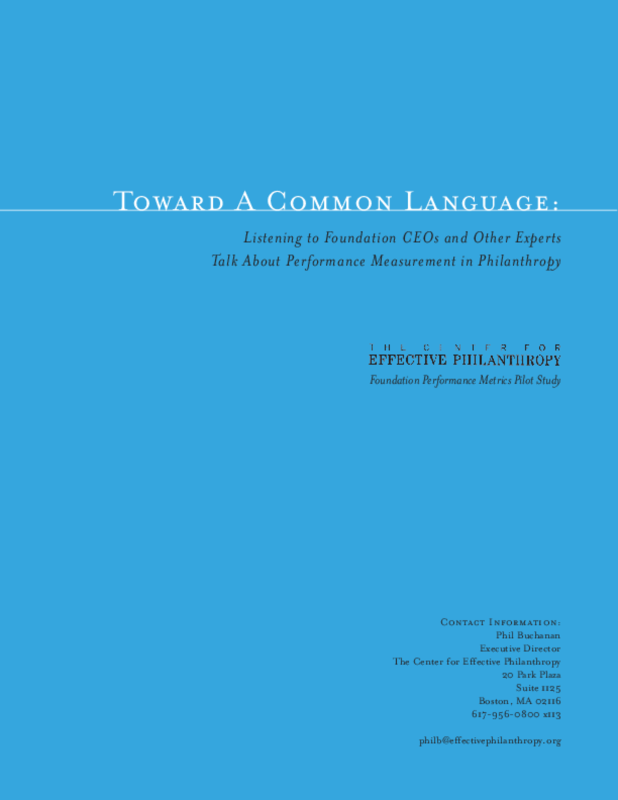 The report is based on 74 discussions, including 18 interviews with CEOs of major foundations, and describes the growing interest in performance metrics among foundation leaders and a common language for thinking about overall performance. Copyright 2002 by Center for Effective Philanthropy. All rights reserved.